Linda Ann Taylor is an Adult Nurse Practitioner. She is a Master of Science graduate of the Daemen College Adult Nurse Practitioner Program. Board Certified by the American Nurses Credentialing Center as an Adult Nurse Practitioner, Ms. Taylor is a Member of the Nurse Practitioner Association of WNY, the American Holistic Nurses Association, and the Amherst Chamber of Commerce. She can also be found in the May 2006 edition of Women in Business. 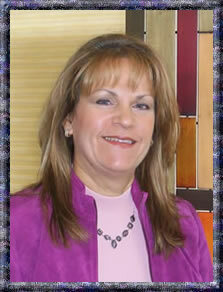 Ms. Taylor has been a student of Metaphysical and Spiritual studies and has received her Master Attunements for Reiki. Total Body Analysis using Kinesiology is a modality Ms. Taylor uses with select patients. Ms. Taylor's background includes over 30 years of study of various modalities of both traditional and complementary medicine which she is prepared to offer to you through her practice, Natural Harmony Holistic Health, conveniently located at 400 International Drive in Williamsville. The purpose of her practice is to provide clients with holistic medical care in an effort to promote optimal health and prevention of disease.